I posted a slightly different photo of this building last week because the photo included the old and new City Halls. 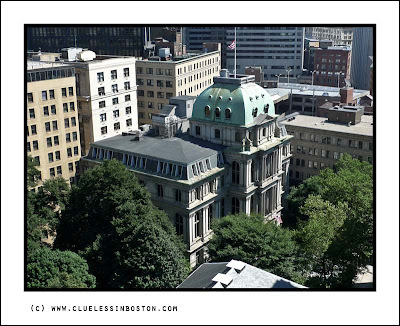 The old city hall was slightly cropped in that picture and this magnificent building deserves better and here it is. The picture following is a ground level view of the building. I have some shots from our trip to Boston, maybe I should put one or two on a future post. As the saying goes, they don't make them like that any more. It is an impressive building! 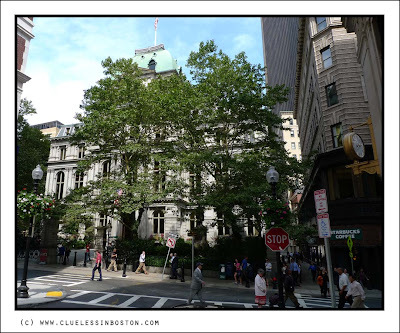 Its great visiting this blog as I get to explore your great city. It seem to have a lot in common with London and other European cities. Love your photography and your eye for a good picture! Beautiful buildings dear friend, I liked a lot these pictures! Two great views of a magnificent building.